When individuals design a workable budget, one of the parts involved is cutting costs of items that are not important in order to save some cash. The whole process can be a tasking period as you work to identify which of the items to cut and how to save even more money. One of the best options, often over-looked, is using coupons to reduce costs. Coupons from manufacturers have been in existence for over 100 years and with the present-day technology and internet; coupons are now easier than ever to find and redeem. As inflation continues to occur, coupons can largely help you to reduce your grocery budget by as much as 50%. All you need to know is where and how to find these coupons for best deals. Below are some tips to assist you in locating and using coupons to your benefit. Aside from the ads in print, newspaper websites as well give some great coupons from local retailers and marketers. Many of these coupons can be printed right from the website, as referral bonuses, or as a deal exclusive for regular paper readers. A lot of local stores and national retail chains offer coupons and special deals on their websites. Notices of special deals and sales can also be found on their websites which you may not be able to hear offline. Aside from coupons, many stores often give customer loyalty membership cards for free which also provide you with an advantage to save money during shopping. For customers who often visit the manufacturer’s website, there are several deals available for grab. All you need is to sign up online using your email address in order to get extra exclusive offers on various products from the manufacturer. 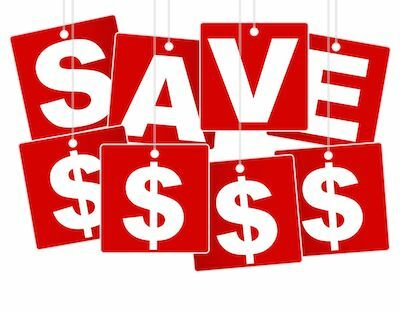 Many of these coupons can help you save lots of dollars over a long period of time. There are several new websites that offer all sorts of different coupons that can be printed right from your home. Many provide convenient ways to search and get information about specific deals from selected stores or merchants. Coupons are meant to save you some cash on the things you would normally purchase. Many people go ahead and buy goods they do not need only because of the coupon they have which essentially costs them more money. If you are on a strict budget then this can lead to over-spending. Watch out for stores that double coupons. With this, if the coupon original stated $1 off on goods and services bought, then you can get $2 off. Hence, watch out for this kind of stores that offer them. Keep an eye on the expiration dates. Nothing is more frustrating them throwing away money because you waited too long to use and coupon and it expired.